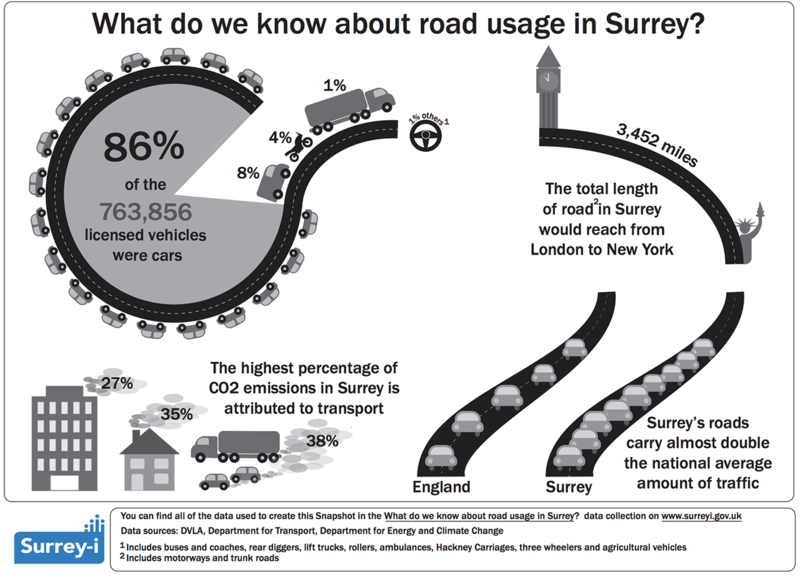 What do we know about road usage in Surrey? What does the affordable housing profile of Surrey look like? What was the attainment of Surrey’s pupils in 2018?